As the world looked on in horror at the Paris terror attacks in 2015, France found itself at the center of a conflict, which has had consequences that extend far beyond France itself. The attacks set in motion a steady creep towards ever more repressive state surveillance and security measures, and they fuelled the resurgence of the far right across Europe, while leaving the left dangerously divided. Consequently, these developments raise profound questions about the meanings and limits of such concepts as secularism, multiculturalism, and freedom of speech today. 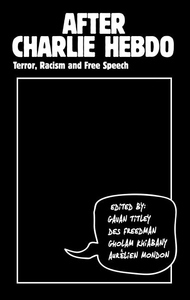 After Charlie Hebdo brings together an international range of contributors to assess the symbolic and political impact of the Paris attacks in Europe and beyond. Cutting through the hysteria that has characterised so much of the initial commentary on the attacks, the essays place these events in a wider international context, exploring such key issues as the shifting meanings of secularism in postcolonial France, the role of the media, the politics of free expression, and how best to combat racism and Islamophobia.